The Specials are a trend-starting ska revival band that came together in 1977 in Coventry. They were responsible for starting the early '80s ska scene in the UK and released seven consecutive top 10 UK chart singles between 1979 and 1981, including the No.1 hit, Too Much, Too Young. Over the years the line-up has changed greatly, but their music has always remained incredible. 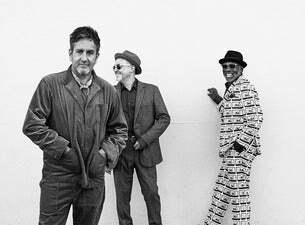 And now The Specials are releasing a brand new studio album, Encore, on 1 February 2019 and heading out on tour! Find tickets for The Specials from 15 April to 16 May 2019 at cities across the UK.